Sidharth Malhotra took to twitter and shared the first look poster of his upcoming film ‘Jabariya Jodi’. Sidharth and Parineeti will return to screen together after the 2014 film ‘Hasse tho Phasee’. The two started shooting for their upcoming film last week when a photograph of the film’s clapboard was shared on the official Twitter page of Balaji Motion Pictures. The new posters show Sidharth in a rowdy look while Parineeti sporting the latest fashion. The two posters out have an essence of Northern India. Reports suggest the film’s titled earlier said as ‘ShotGun shaadi’ is based on pakadwa vivaah. 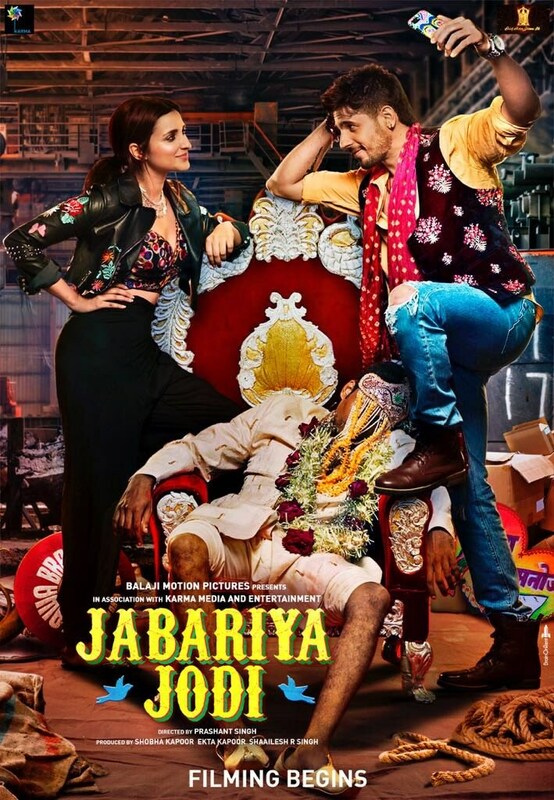 In Bhojpuri, jabariya means forced so the current title ‘Jabariya Jodi’ refers to a couple who are forced to get married. Sidharth will be seen playing a Bihari thug.